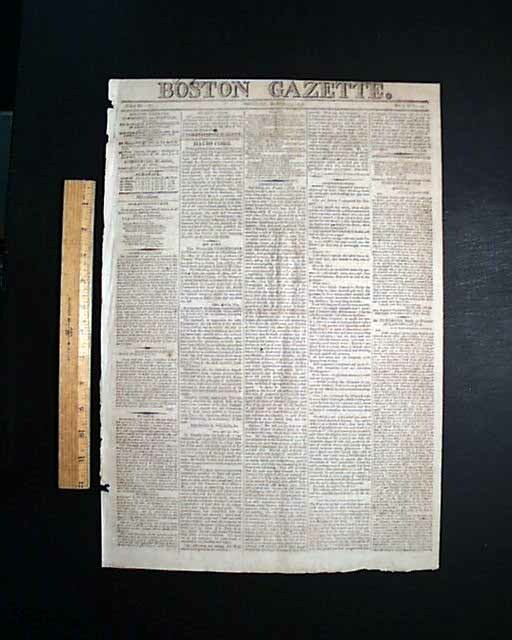 Item # 559591 BOSTON GAZETTE, dated in 1808-1809 A lot of ten issues from the early 19th century when Thomas Jefferson was president. News and advertising of the day provide perspective on this formative period. Irregular at the spine but without loss of text; some foxing and wear with lite staining, typical for the period. The photo shows an example of the look and condition of the issues you will receive. Actual dates vary but are within 1808-09.